Your website may have the looks, but if it’s riddled with development bugs, useless code and malfunctioning links and buttons, then it simply won’t convert. Good looks can only get you so far, but if potential customers can’t use your website properly, what incentive is there to continue their journey, or worse, come back for more? Our team of expert developers can take your static designs and develop a fully-functioning, interactive and user-friendly website that responds at every opportunity. Your website should be more than just an online brochure. It should create leads, drive sales and encourage repeat visits. Otherwise, really, what’s the point? You could offer the best products and services in the business, or create content that regularly captivates your audience, but if your customers can’t fill out your enquiry form or easily pay for your must-have merchandise, then your website is only hindering your aims and reputation. In fact, 94% of consumers judge a website based on its navigation, responsiveness and design, being unlikely to revisit a site that appears untrustworthy or unprofessional. 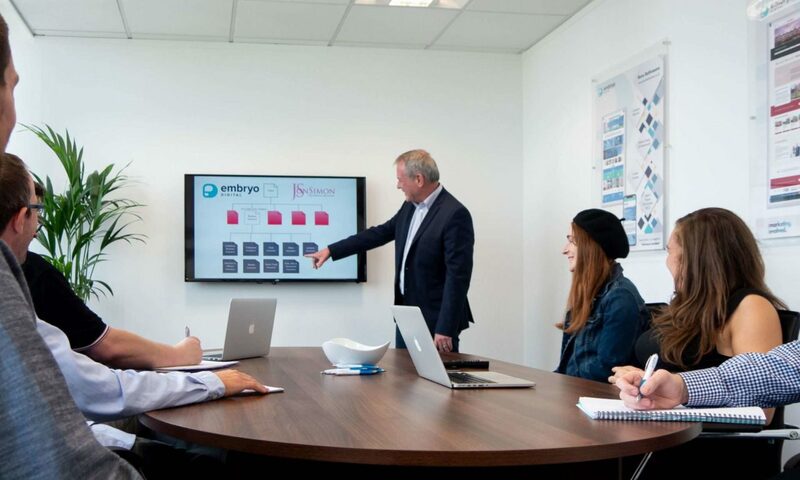 At Embryo Digital, we’ve seen the success our development projects have had in increasing website traffic, generating leads and boosting business growth. We place your goals at the heart of everything we do and our development strategies showcase this. Whether we add layered navigation for shopping efficiency, create a ‘live chat’ feature to improve customer service or design and develop a whole new website, you’ll see results that will make a real difference to your brand. What Does Our Web Development Involve? We’ll be your development specialists, managing every step from sitemap and wireframe creation to implementing content management systems (CMS) such as WordPress, WooCommerce, Magento and Umbraco that bring your website to life. After reviewing your current website and discussing your objectives, audience and competitors, we’ll define your new website’s technical scope, sitemap and architecture. Using static designs that place your branding at the forefront, we’ll create visuals such as the home page, buttons, call to actions (CTA’s) and photography and ensure you’re happy with the final designs. What Makes Our Web Development Different? We don’t use websites like Wix or Squarespace. We integrate CMS systems and adapt them for each project, placing bespoke design, functionality and the customer journey at the forefront. We can create applications that compliment your website, giving your customers something unique and fun to interact with. Everything we create is mobile-friendly, ensuring your website works well when your audience are on the go. Our web developers follow a strategic process, with proven successes in markets spanning insurance, cosmetic surgery, kitchens, and housing for example. Whatever your goal, your website will be built with that in mind. 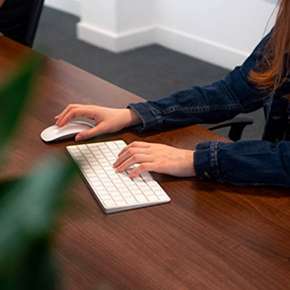 We are a thriving full-service digital marketing agency based in Manchester specialising in lead generation, web development, web design, SEO, social media and content marketing. We strategise how best to meet your needs, using the dazzling talent within our office to develop websites that are really something else. Each new project showcases how sensational our work is, and the positive effect this can have on your business. No task is too big. No goal is out of reach. It’s no wonder our clients always want more. If your website has been experiencing issues, you’d like to expand its capabilities or create a whole new website from scratch, then let’s develop this together. For a confidential and professional discussion about your website, please contact our Manchester offices on 0161 327 2635. Alternatively, enter your details below and one of our web team will be in touch shortly.